Social Media became a force that united users and forever changed the protester. Tech Watch's Angela Kelly weighs in on the impact social media had in 2011. As the calendar year ends, it's also time to review the big player in technology, Social Media. This year, Social Media became a force that allowed users to unite and announce, pronounce, and declare their demands. When a coup occurs, governments go to great lengths to quiet them. Now with Social Media, that voice is harder to trace and harder to silence. It may not be as reliable, but it is as important. Social Media pushed the limits in the way that we communicate and receive information this year. We learned that constantly evolving social media is a much more powerful than we ever anticipated. When Mark Zuckerberg was developing Facebook for Harvard University students he never likely envisioned it being used to ignite protests and accelerate a revolution. Jack Dorsey, co-founder of Twitter, envisioned a way to connect the web on a different level and in turn created a real-time system for tracking the pulse of a global community and the experiences of everyday people. Social networks moved the revolution forward by giving limitless access to everyone on the Internet, including political figures, corporate leaders, journalists and the average person. While Facebook and Twitter certainly did not cause the revolution in Egypt or the protests on Wall Street, both helped spread the word and unite people; much like The Penny Press or John Peter Zenger's newspaper trial in the 1800s, the common factor is access to information. Protestors were equipped and 'went in with guns blazing' (and by 'guns' I mean Facebook and Twitter and by 'blazing' I mean rapid status updates and tweets). Sascha Meinrath, director of the New America Foundation's Open Technology Initiative, explains the use of social media compared to the old way of sending out mass information via pamphlets. "Social media have become the pamphlets of the 21st century-a way that people who are frustrated with the status quo can organize themselves and coordinate protest, and in the case of Egypt, revolution," said Meinrath. Facebook drove protests forward as people used it to organize these revolutions while Twitter and YouTube served as amplification for what was happening at the ground level. The worldwide audience observes a first-person point of view as many protestors and citizen journalists have been taking to the streets with cameras and cell phones, uploading videos and photos to YouTube and Facebook in real time. Utilizing Twitter helped the organizations reach a far more broad audience in real time. In NYC, the story is similar, yet different. The ability to use the Internet freely and access to WiFi on Wall Street made set-up for Occupy Wall Street organizers easier. But, in the beginning stages organizers made information for media scarce because they lacked no central leadership or communications for journalists to gather information. Most media were collecting information via tweets, status updates and RSS feeds. The Occupy Wall Street, or #OWS in the online world, has branched out over the last few months into smaller cities and towns, including Erie. Veronica Rexford, of the Occupy Erie media team, explained the ways that their cause is using social media. "Occupy Erie uses social media platforms to spread the message that Occupy Erie exists and is in solidarity with the larger Occupy movement. We use social media to publicize events, invite people to come meet us and more importantly, to stay connected and grow the movement." On Twitter, users mark keywords with hashtags to categorize tweets for other users to search topics with ease. This symbol alone has allowed the grassroots effort to engage followers with information from meetings and encourage them to follow other larger Occupy groups like #ows and #occupyarrest. The ability to use social media has opened the forum, both locally and nationally, for protestors and observers to discuss the content that they are developing and seeing – blogs, videos, articles, and audio. Raising nearly $450,000 for Occupy was possible through the use of apps alone, critical for the cause to function. These protests definitely could have happened without Internet and social media, but with the access literally at the fingertips of protestors the movement grew rapidly. The protestor is forever changed as a result of social media because of information-- thoughts, facts, inaccuracies, etc.--can be shared without editing or supervision-that is, as long as other people are already subscribing to that newsfeed. 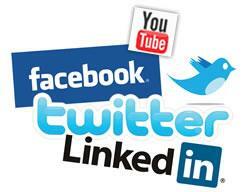 Social media paved the road in an entirely new way in 2011, as interest was sparked and nations were liberated. So what will social media be responsible for in 2012? Still, according to World Internet Usage Statistics, over 80 percent of people in developing countries do not have access to the Internet. If refugees in Sudan and Darfur had unrestricted access then it's possible that they could rise up and change their countries too. One day we might be able to say, 'Food Drop? There's an app for that.' There really are no boundaries as to what, or who, social media can influence and change in the future, but I'm ready to keep my fingers at the keyboard and my eyes on the screen to see what may come in 2012. The Monk's Brew offer a night of sweet, singing jazz.